The kidneys help maintain the acid–base balance by excreting hydrogen ions into the urine and reabsorbing bicarbonate from the urine. The kidneys maintain homeostasis through the excretion of waste products. Acidosis causes more bicarbonate to be reabsorbed from the tubular fluid, while the collecting ducts secrete more hydrogen to generate more bicarbonate, and more NH3 buffer is formed. Alkalosis causes the kidney to excrete more bicarbonate as there is a reduced secretion of hydrogen ions and more ammonium is excreted. base: Any of a class of generally water-soluble compounds, that have a bitter taste, turn red litmus paper blue, and react with acids to form salts. Urine testing is important because it can detect acid–base imbalances. For instance, uncontrolled diabetes results in highly acidic urine. If the diabetes remains uncontrolled, the kidneys could become over-stressed and malfunction, which could lead to coma or death. Within the human body, fluids such as blood must be maintained within the narrow range of 7.35 to 7.45, making it slightly alkaline. Outside that range, pH becomes incompatible with life; proteins are denatured and digested, enzymes lose their ability to function, and the body is unable to sustain itself. To maintain this narrow range of pH the body has a powerful buffering system. Acid–base imbalances that overcome this system are compensated in the short term by changing the rate of ventilation. They reabsorb bicarbonate from urine. They excrete hydrogen ions into urine. The kidneys are slower to compensate than the lungs, but renal physiology has several powerful mechanisms to control pH by the excretion of excess acid or base. 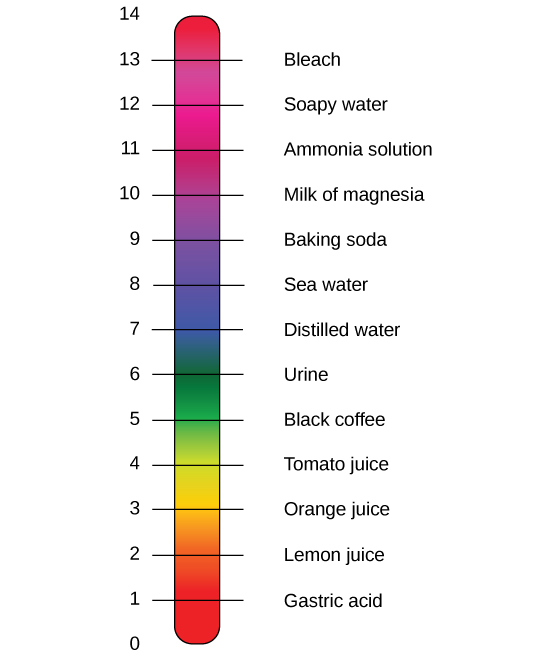 The major, homeostatic control point for maintaining a stable pH balance is renal excretion. Bicarbonate (HCO3−) does not have a transporter, so its reabsorption involves a series of reactions in the tubule lumen and tubular epithelium. In response to acidosis, the tubular cells reabsorb more bicarbonate from the tubular fluid, and the collecting duct cells secrete more hydrogen and generate more bicarbonate, and ammoniagenesis leads to an increase in the formation of the NH3 buffer. In response to alkalosis, the kidneys may excrete more bicarbonate by decreasing hydrogen ion secretion from the tubular epithelial cells, and lowering the rates of glutamine metabolism and ammonium excretion.